Addressing behavior and mental health challenges among youths in immigrant populations. Joyce Javier, MD, MPH, was born in Los Angeles in a neighborhood now known as Historic Filipinotown, in recognition of the large number of Filipino immigrants – such as Javier's parents – who settled there. Filipino culture values education and hard work. It is typical of Filipino parents in America to work several jobs and to encourage their kids to study hard and strive for high achievement. That is what Javier did: she earned an MD and a Master’s in Public Health and is now a primary care pediatrician and assistant professor of clinical pediatrics at the Keck School of Medicine of USC and Children’s Hospital Los Angeles (CHLA). Yet, growing up, Javier saw too many of her peers struggle with serious emotional and mental health issues like drug use, teen pregnancy, dropping out of school, depression, and even suicide. Witnessing these struggles shaped Javier's early decision to become a physician and do what she could to improve the lives of young people in her community. But when she got to college and took her first courses in public health, Javier saw what it is involved in understanding the health of communities from a broader epidemiological perspective. Among those early lessons, she learned that children of many immigrant groups, including Filipinos, suffer disproportionately high rates of mental illness and behavior problems. "Medical school doesn't teach you about these things, because they're not really part of the job of being a practicing clinician," said Javier. "But they are part of the job of being a physician-scientist and independent researcher." Javier decided she wanted to help families and youth on a broader scale than she could as a clinician and teacher. 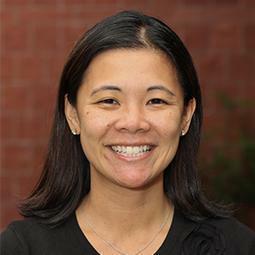 So she chose to become a public health scientist, focusing on evidence-based programs intended to help families in Asian and Pacific Islander groups make healthier choices and avoid the behavioral problems that young people can stumble on during the path to adulthood. According to the 2010 Census, the Asian population grew faster – by 43 percent – than any other race group in the United States between 2000 and 2010. Yet, researchers have only begun to address the unique issues that the diverse Asian population faces. Although Filipinos are the second-largest immigrant group in the U.S. and contribute significantly to the economy – in fact, among Asians, Filipinos have the highest labor force participation rate, at 70.3% – they're one of the least researched Asian subgroups, said Javier, and few interventions have been developed to address their health needs in culturally appropriate ways. In her research work, Javier focuses on mental, emotional and behavioral health issues among immigrant populations, particularly among Filipino youth and families. It is delicate terrain for a community researcher. "In Filipino culture, particularly, there's a stigma associated with mental health issues," said Javier. "There's a reluctance to talk about topics like teen pregnancy and drug use, and even parenting." As a result, few parents seek the help of mental health professionals. "The results are preliminary but very promising," said Javier. "Most importantly, they hold the potential to lead to larger studies to eliminate the health disparities that affect young people in these immigrant groups, as well as the behavioral issues that can get in the way of their development as they grow toward adulthood." A child of the community herself, Javier knew from experience that her first task was to begin to break through the wall of resistance about mental and behavioral health. She needed to find ways to talk about the needs of Filipino kids, without triggering reactions that could cause people to reject her programs. "That’s why we focus on creating culturally-congruent programs that can engage kids and families in these populations and help address early symptoms and prevent these problems," said Javier. Part of the solution was to approach behavioral health from the perspective of prevention and education for the benefit of all kids and parents, rather than as treatment for "problem kids," thus defusing some of the discomfort surrounding these issues. Javier collaborated with community stakeholders and held many meetings and workshops in faith-based settings like churches – esteemed places in the community that generated an important level of validation and acceptance. Javier’s research started six years ago. Her team had reached out to more than 50 stakeholders in the Filipino community in Los Angeles: parents, grandparents, and teenagers, health and mental health providers, church, government and community leaders, and school personnel. Researchers then asked community members two questions: What are the emotional needs of Filipino youth? And, how can we prevent the behavioral health problems that disproportionately affect them? From the responses, Javier’s team was able to propose a community-identified solution to mental health prevention in the Filipino community: offering evidence-based preventive parenting workshops in faith-based settings. They proposed this culturally-congruent solution in Joyce’s successful application to the SC CTSI KL2 program. The study involved offering workshops from a series of widely acclaimed child and family educational programs developed by youth behavioral health expert Carolyn Webster-Stratton, PhD, called The Incredible Years, which teaches parenting skills, life and social skills, and helps kids avoid drugs and make other positive choices. Javier's workshops were designed to help parents raise and interact with their kids in a less stressful and more productive way. 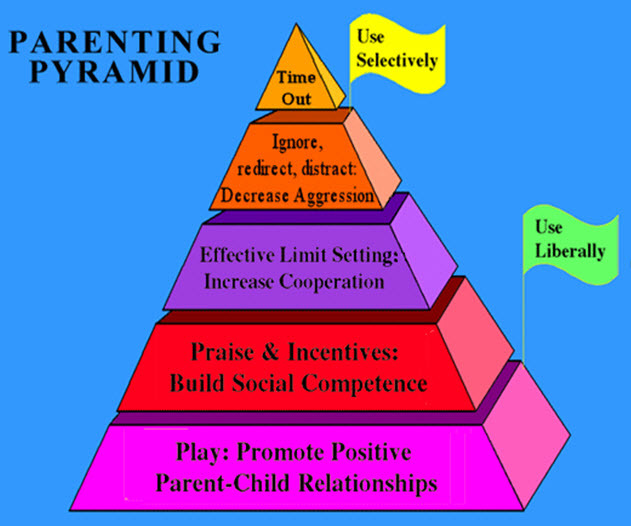 They introduced parenting strategies and skills such as the use of praise and incentives and positive discipline to set limits and handle misbehavior. For kids, the programs taught and strengthened social skills, emotional regulation, and school readiness. After the workshops, parents reported significant improvement in their own stress levels and a reduction in kids' behavioral problems, said Javier. They also reported increased use of positive parenting techniques that fostered a more open and positive relationship between kids and parents. Javier decided to become an independently funded investigator to drive the kind of large-scale community studies that could address and eventually eliminate health disparities like the ones in the Filipino community. But her training as a physician – as well as the Master’s degree in Public Health she earned – hadn't prepared Javier to assume the complex job of leadership in the world of community-based intervention research. That led her to the KL2 program. Javier joined the SC CTSI KL2 scholar program in July of 2011. The program provides coursework and mentorship in clinical and translational research, and the fundamentals of research design and analysis. KL2 scholars also receive training in less obviously scientific areas, such as presentation skills, talking to the media, how to develop community partnerships, as well as the sort of leadership skills necessary to manage teams of researchers and employees. Javier's primary mentor was SC CTSI co-director Michele Kipke, PhD. As a professor of pediatrics and preventative medicine with expertise in child, family and community health, as well as a principal investigator on several studies, Kipke was excellently positioned to coach Javier on the finer points of the all-important and complex grant application process to the National Institutes of Health (NIH). This individual mentorship augmented the core training in grant preparation of the KL2 Program. Kipke also arranged to have two other experienced researchers specializing in health disparities among minority groups serve as co-mentors on Javier's application: Lawrence Palinkas, PhD, a professor at the USC School of Social Work, and Jeanne Miranda, PhD, a professor in the Department of Psychiatry and Biobehavioral Sciences at the University of California, Los Angeles (UCLA). "These mentors provided an enormous amount of invaluable feedback that enabled me to strengthen my NIH grant proposal," said Javier. "NIH applications take a lot of time and work, and you want them to be as competitive as possible." In July of 2013, after two years in the KL2 program, Javier was awarded a four-year K23 grant by the Eunice Kennedy Shriver National Institute of Child Health and Human Development. The NIH grant is a critical scientific and professional milestone that will enable Javier to continue her research. Ultimately, Javier's goal is to extend the lessons learned in Los Angeles' Filipino immigrant community to a national scale to help prevent behavioral and mental health issues among young people in other high-risk immigrant populations. SC CTSI is part of the 62-member Clinical and Translational Science Awards (CTSA) network funded through the National Center for Advancing Translational Sciences (NCATS) at the NIH (Grant Number UL1TR000130). Under the mandate of “Translating Science into Solutions for Better Health,” SC CTSI provides a wide range of resources, services, funding, and education for researchers and promotes online collaboration tools such as USC Profiles.